2018 marks our 153rd year as one family, one farm. In 2015, we celebrated the 150 year milestone with our first biannual female production sale, the WF Salebration. Woolfolk Farms is a three generation family farming operation located in Madison County Tennessee. 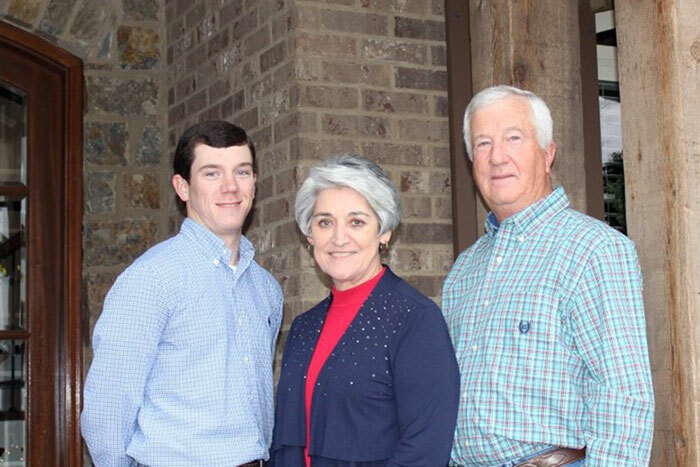 It was recognized in 1976 as one of Tennessee’s original Century Farm designees for over 100 years of continuous ownership and agricultural production by the same family. 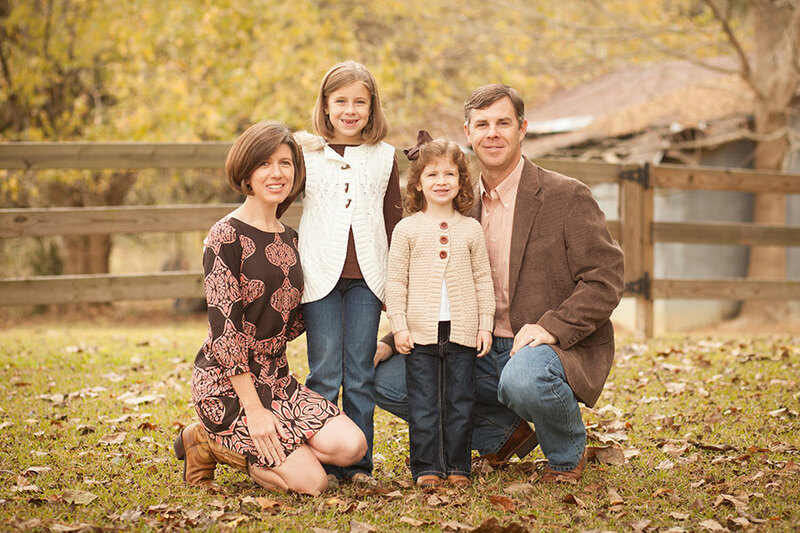 The family received their 150 year recognition from the TN Commissioner of Agriculture during presale activities in 2015. Being located only 6 miles from I-40 highway, the farm is easily accessible from almost any where. Our location in the southeast provides us a long growing season and adequate rainfall (47.5 in. annually) to produce tremendous amounts of forage. We use our Herefords to convert all this grass to beef! We stock our pastures with a pair to two acres or less annually. Our normal grazing season begins in March and ends in November. Our hay harvest season starts in early April with ryegrass haylage and usually ends in October with the fourth cuttings of alfalfa and Bermuda. Row crops have always been a part of the operation, but play a lesser role today than in past years. Fields are rotated between cotton, corn, soybeans and wheat. Irrigation is used on a limited basis. Hybrid Bermuda and Alfalfa are cash crops that play a major role in the farm’s annual production and are grown primarily to market to the areas large population of pleasure horses and show horses. The Civil War’s impact on the planter class in West Tennessee is well illustrated through the history of Woolfolk’s Walnut Flat Farm. In 1865, William and Eliza Pearson purchased 1062 acres for $1500 and established the farm ten miles northeast of Jackson. In 1871, their daughter Susan Pearson married John G Woolfolk and Woolfolks have planted and harvested crops and tended livestock every year since. 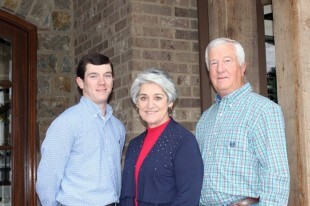 Current owners and operators John and Scott are the fourth and fifth generations to tend the farm. The farm has experienced many changes throughout the years, but one thing that remains constant is the tremendous production ability of the deep, fertile Memphis silt loam soil that covers the surface. The first Hereford female “Annie Domino K”, a March 1941 heifer was bought by W. W. Woolfolk from a neighbor, Fred Exum. The registered herd grew steadily for several years before going commercial cows with registered Polled Hereford bulls. That trend reversed in 1963 when John Woolfolk purchased his first 4-H Club heifer, a registered Polled Hereford, from his grandfather, C.P. Waynick. From that heifer and other purchases along the way, the herd has grown to its present size of over 100 registered cows and 60 additional cows used as recips for Hereford embryos. In 2013, WF began partnerships with Hidden Acres Farm and Gibson Farm to utilize their cows as recipients for embryos produced by WF donors. Through the years, WF Herefords have been sold into every southern state as well as MO, OH and NE. WF heifers have also been a part of group shipments to Turkey and Kazakhstan. The Woolfolk family’s involvement in Hereford activities and organizations took a major leap forward when the TN Jr Hereford Association was formed in 1964. 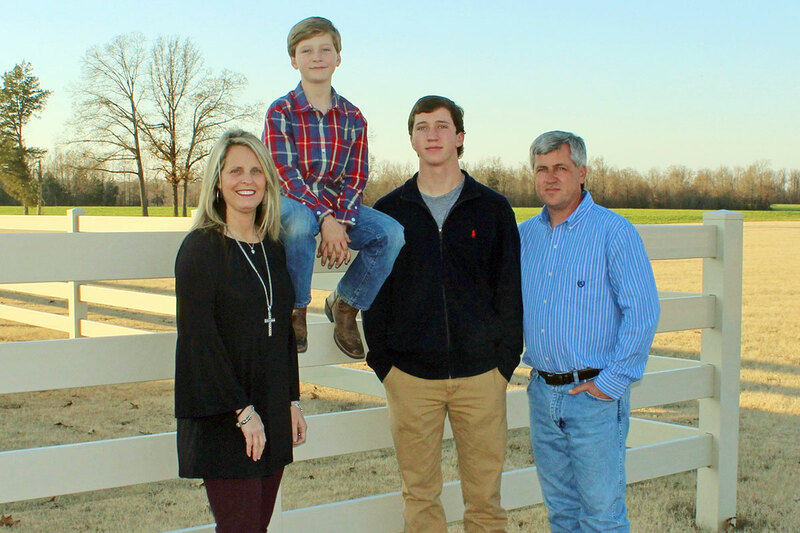 Since attending that first field day at Coley Hereford Farm in Lafayette, TN, all members of the family have attended and participated in field days, shows, sales & meetings which have helped served as a motivation to develop a top quality herd. Not only have we attended, we have served the breed in leadership positions as well. John has served as President of the TJPHA, TPHA, and the AHA; Scott has served as president of the TJPHA & the TPHA; Matt served as president of the TJPHA and chairman of the NJHA and Amy has served as president of the TJPHA, vice-chairman of the NJHA and as National Queen in 1997.